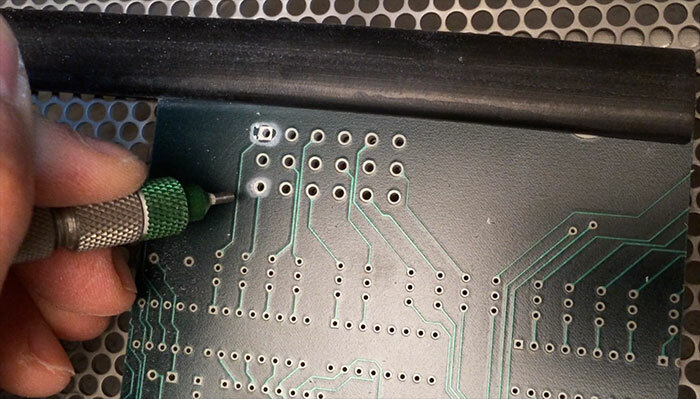 Why Use Wheat Starch to Remove Conformal Coating? Take a look at this quick demo below and see wheat starch in action. What is Wheat Starch Exactly? 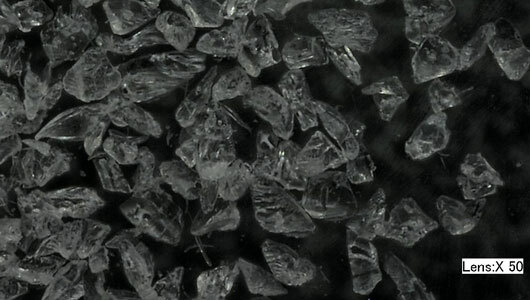 Our wheat starch abrasive media is manufactured by polymerizing and crushing, well, wheat starch. It registers as a 2 on the Mohs scale. 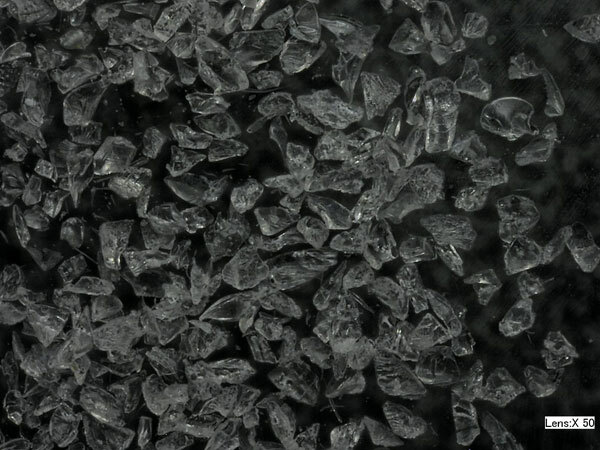 Its average particle size is 0.004″ or 100 µ, and its particle shape is blocky and crystalline with shard-like edges. Wheat starch takes longer to remove coating than plastic media and sodium bicarbonate, but the trade-off for speed is safety. In the examples pictured here, we blasted 100 µ wheat starch at 50-60 psi through a 0.030″ conductive nozzle to remove a thin layer of silicone. The goal was to only reveal select board components for testing. The white line at the top of example 1 and circling the component in example 2 mark the edge of the blasted area. We were able to get a relatively sharp line of delineation in both examples. (Images are magnified 30x.) 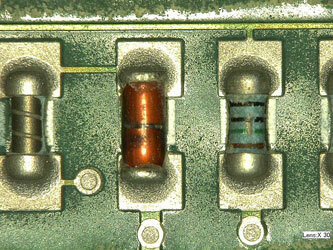 We were also able to remove coating in between the pads that extend from the component in example 2. 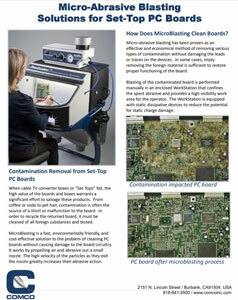 Why use MicroBlasting to Remove Conformal Coating? It may be helpful to familiarize yourself with the whys and hows of MicroBlasting as a removal method. 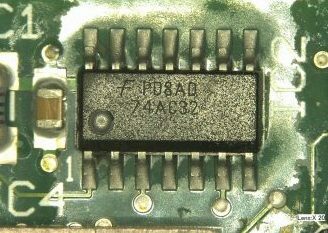 Check out our Application Profile on Conformal Coating Removal. 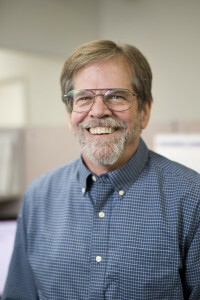 If you’re ready to schedule a sample part test or if you have questions, email me or give me a call at 1-800-796-6626.